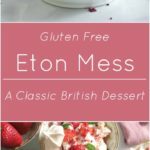 Eton Mess, a lovely light dessert, that will have you dreaming of tea with the Queen! Disclaimer: I was given a copy of Marissa’s book to keep and review, as well as another copy to give away to one lucky reader! As always, my opinions are my own, and I was not under any obligation to right a favorable review. One lucky winner will receive a copy of this beautiful book! I don’t know about you, but even though I have a kindle, there’s something really special about a beautiful book. I was intrigued by the title, because I was once An American Girl in London too! 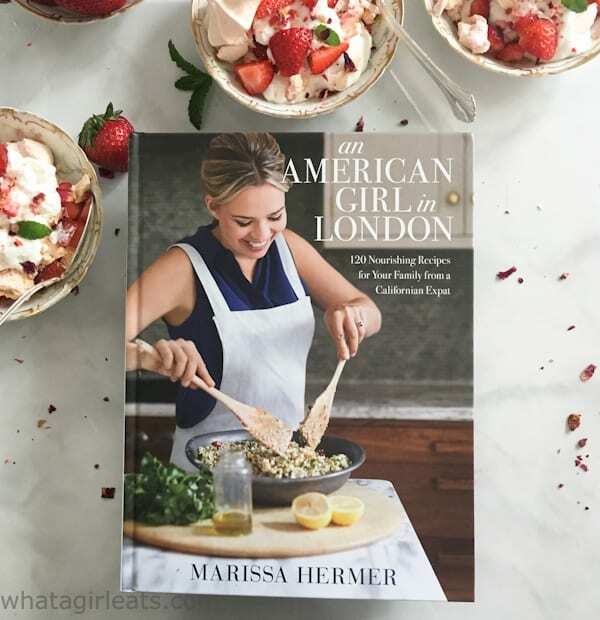 Marissa is a California girl who now lives in London with her restaurateur husband and three children. When I received the book in the mail, it took just a couple of minutes to thumb through the pages, for me to get excited, because I knew I was going to like it. But I was in the middle of a project, and couldn’t get to it right away. When I finally was able to sit down a couple of hours later (with a cup of tea of course), I didn’t get up again for another hour. Seriously. And if you know me, I save my reading for bed time. So many things to love about this book. First of all, the pictures are gorgeous. I don’t know about you, but I don’t just want a cookbook for recipes, I actually love the stories that accompany recipes, and beautiful photos are a must! Marissa’s book ticked all the boxes for me! 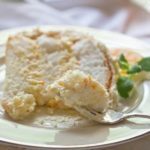 I also love that she has taken traditional British recipes, and given them a California spin, her take on English classics. Of course you’ll find lots of traditional recipes too. (Her mother-in-law’s cucumber and smoked salmon sandwiches are next on my list!) The recipes are easy to follow, and each one comes with a bit of a story about how she came up with the recipe, and what her changes are. For example, her Shepherd’s Pie recipe is topped with sweet potato mash for a healthier version of a classic recipe. She also accurately notes that Shepherd’s Pie is traditionally made with ground lamb and not beef! This attention to detail is nice. It doesn’t hurt that she’s cute as a button either! Ok, so the best part, is Marissa is going to send one lucky reader a copy of An American Girl in London! This would be a fabulous gift for Mother’s Day too! Now on to the Eton Mess. I love how it got its name, since I actually went to an Eton-Harrow cricket match when I lived there. Apparently at the annual match, the beautiful meringue dessert was dropped. (Probably after one too many Pimm’s Cups!) 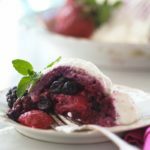 The dessert was salvaged with whipped cream and berries. It’s a great story, and I love Marissa’s take on it! Meringues were the very first thing I remember making when I was a young teenager. Just egg whites and sugar, what could be easier? 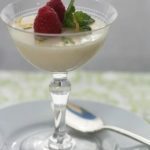 Her recipe uses Greek yogurt to lighten the whipped cream, which at first I was a bit skeptical of, but I really loved the tang the yogurt gave to the whipped cream. Tip: use real Greek yogurt, as it’s definitely thicker and tastier than regular yogurt. 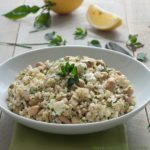 The recipe also calls for rose water, which is totally optional, but gives it a nice light floral undertone. I just happened to have both rose water and rose petals from my mom’s Rose Shortbread, so I was able to follow the recipe exactly. 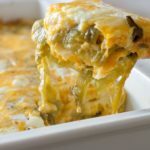 (Because there’s nothing more annoying than someone writing a cookbook review, saying they made a few changes and then writing that the recipe didn’t turn out!) I digress. 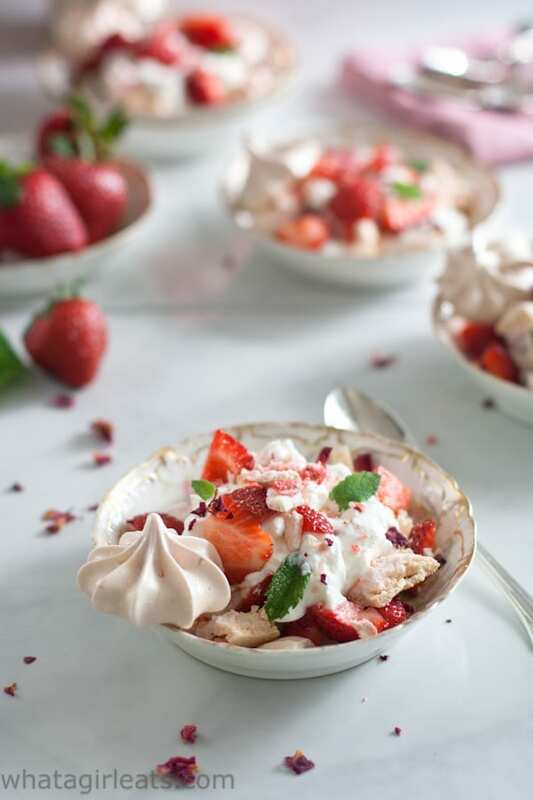 Eton Mess is meringues, fresh berries and whipped cream. That’s it. So easy, yet so light and pretty, even if the word “mess” is in the name! 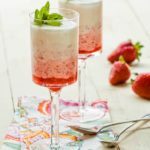 Add Eton Mess to a dessert bar. 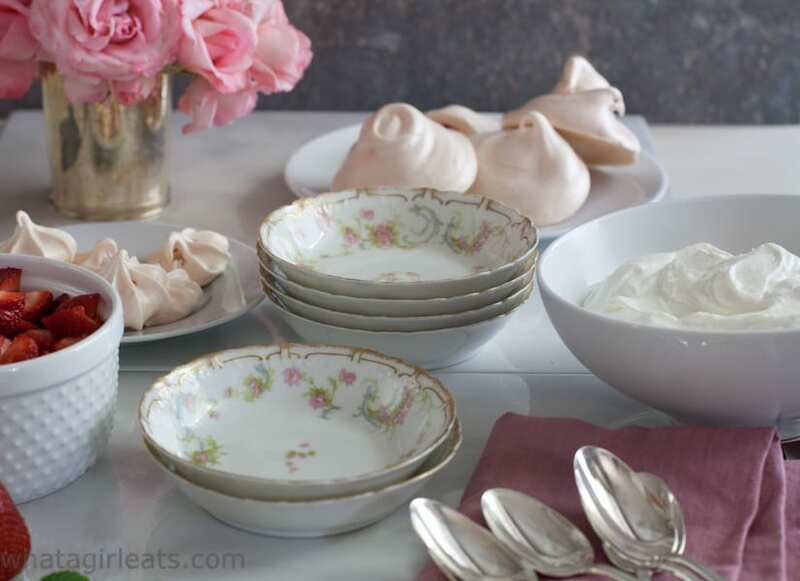 Put out meringues, whipped cream and fresh berries and let guests make their own “Mess”! 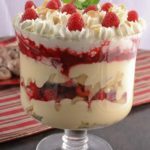 While I was assembling all the ingredients, I thought you could even put out all the ingredients separately, and have a variety of fresh berries, then everyone could make their own “pudding”. This would be a great shower or Mother’s Day dessert idea. If you really don’t feel like up to making meringues, purchase store or bakery meringues. I took the opportunity to pull out Spencer’s grandmother’s Limoges china, which never gets used. (It’s a little too girly for my taste). Her set just happened to have fruit bowls, so why not? You could also use champagne glasses or small ramekins. A traditional British "pudding" or dessert made of meringues, whipped cream and berries. Rose water and rose petals are optional. If you don't have a vanilla bean, substitute 1/2 teaspoon vanilla. In a large bowl, whisk the cream until thickened. In a separate bowl, whisk the yogurt until smooth, then fold through the whipped cream, vanilla bean seeds (or extract), rose water (optional) and icing (powdered sugar). Roughly chop the strawberries, reserving a few for garnish. To assemble, roughly break up the meringues. Begin by layering the cream, berries, and meringue in bowls or glasses. Repeat the layering, then garnish with strawberries, freeze-dried berries (if using) and rose petals (if using), and mint. Now on to the meringues. These Strawberry Meringues have a bit of strawberry jam and food coloring. 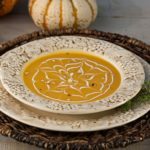 If you don’t like using artificial dyes, I’ve found food coloring that is made from natural ingredients you can find it here. 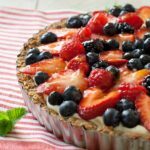 (affiliate link for your convenience) After you’ve whipped the whites to a stiff peaks, you’ll remove about a quarter of the meringue and fold in the strawberry jam and coloring. Then you’ll fold the strawberry meringue back into the rest of the meringue. I found that I had a lot more meringue left over, so I piped out small rosettes for garnish. 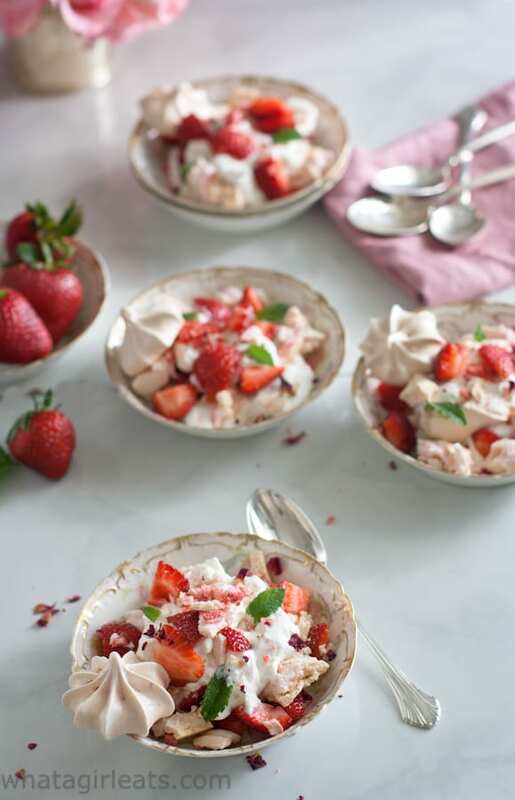 Strawberry meringues are the perfect base for Eton Mess. Line 2 baking trays with parchment paper. Place the egg white into the bowl of a stand mixer and whisk on medium speed until soft peaks begin to form, about 2 minutes. Gradually add the granulated sugar, 1 Tablespoon at a time, and the cream of tartar. Whip until the mixture has stiff peaks and is glossy and smooth, about 5 minutes. Place the strawberry jam and food coloring in a large bowl and stir thorough one-quarter of the meringue mixture. 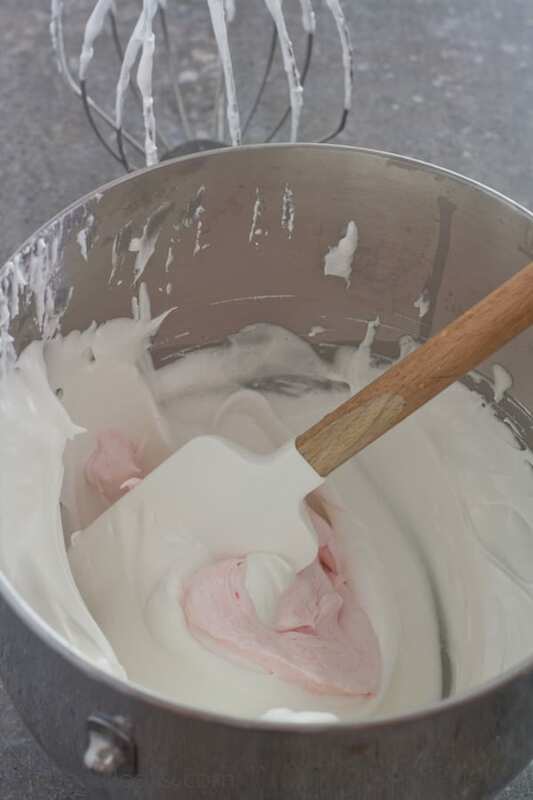 Fold the pink meringue through the remaining meringue. 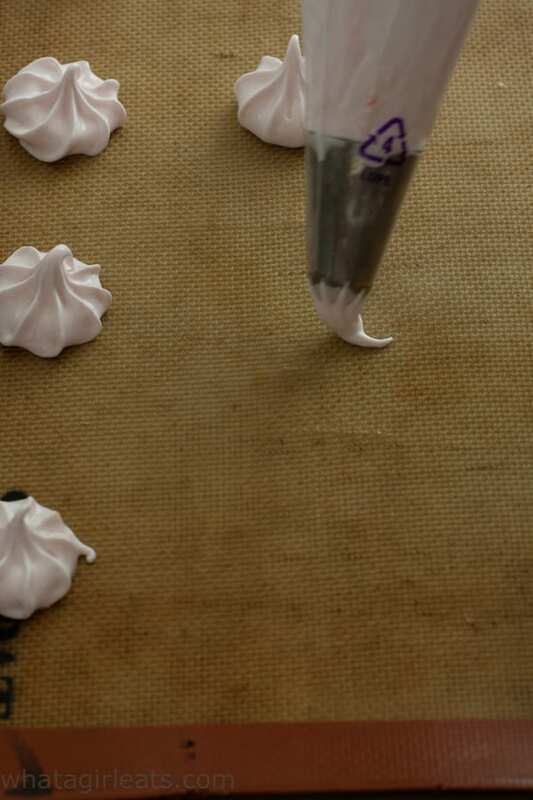 Using 2 Tablespoons, place six to eight 1/2 cup scoops of meringue onto the parchment paper, swirling it around with the spatula until you have a peaked meringue. Bake for 2 hours, or until the meringues are dry and crisp. Turn off the oven and leave the meringues to cool in the oven. 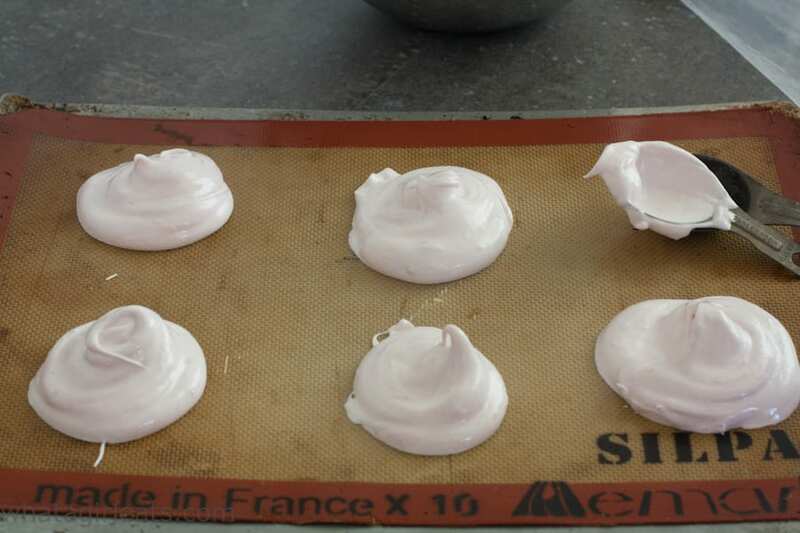 The meringues will be broken up, so they are quite large, and don’t need to be perfect. Large meringues. Don’t worry about how they look, they will be broken up into pieces. 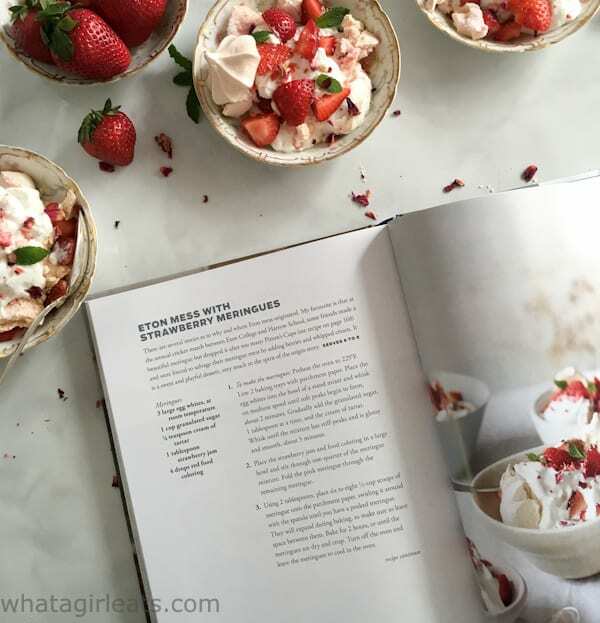 I think you’ll love Eton Mess and the recipes in An American Girl in London. If you’d like to win a copy of Marissa’s book, enter below. It would make a great Mother’s Day gift too! I love the idea of additions of jam and rose water. 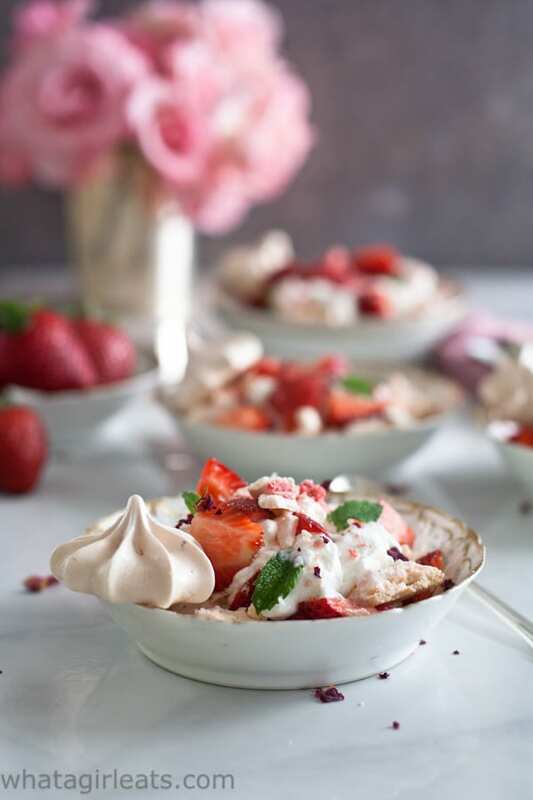 Traditional eton mess is fabulous, but I think these twists will make it even more special. I would love to give a copy of this book to my best friend. We had a lovely trip to London 3 years ago and I think it would bring back wonderful memories. We love spending weekends cooking together. Yes, the little twist of the strawberry jam and rose water gave it a nice flavor. I love London too! Good luck! We tried it. What a lovely dessert! It’s a keeper. I am going to experiment with different flavored meringues, like pistachio or cappuccino! Those flavors sound really good too! It is beautiful considering it’s called “mess”! 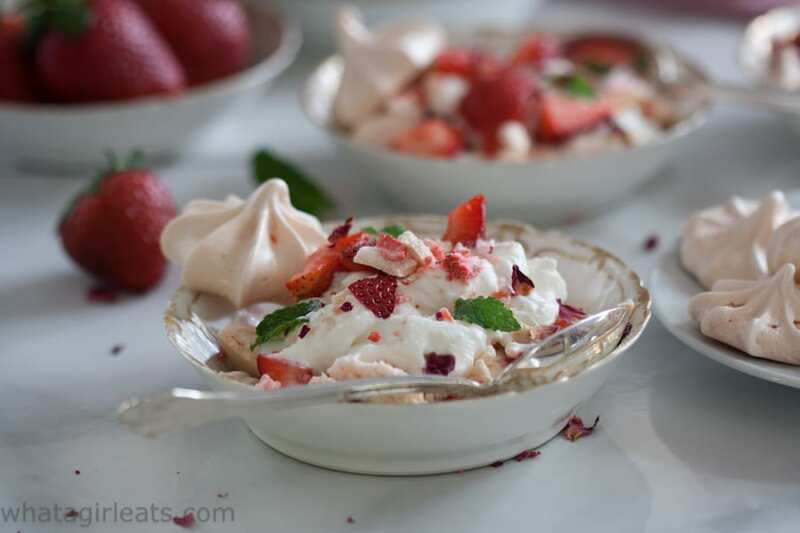 Eton Mess is one of my favorite desserts and so simple, it’s silly! I LOVE Greek yoghurt with cream in a dessert. This would taste similar to another frozen strawberry dessert I make and everyone flips for. 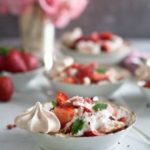 I hope readers try this recipe for Eton Mess as I know it will become a staple in their summer menus! We had it again last night for dessert since I had leftover cream, meringues and berries! I am British by descent and at heart and love anything to with England. I don’t know anyone that has a love of Britain and cooking the way I do. I’m the odd duck. So I guess I’ll just keep it for myself and share the bounty from it. British cooking is really underrated, Charlie, right? Good luck! It’s a lovely book. What a stunning book! 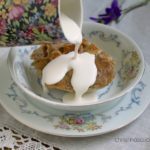 And a beautifully delicious looking recipe! Perfect for a celebration! It truly is! Good luck! Why not? Right? Good luck! This is perfect for Mother’s Day gift. it really is Olga! good luck! Beautiful for a “mess!” This would be a great idea for a dessert buffet! What a beautiful dessert! Love the strawberry meringues! It’s a lovely book Jayne! Good luck! This looks light and delicious and so pretty! Thank you Andi! It’s a lovely dessert! I would keep it for myself and then eventually pass it on to my daughters. It’s so beautiful. I love it. I would love to give this to my mom. She’d love this. I’d love to give this to my 11 year-old daughter who is just starting to show an interest in cooking and baking. I’d love to give this to my good friend, DeeDee. She’s the kind of person who is always there when someone needs help. She loves to bake and try new recipes, so I think this would make her happy. I love cookbooks & would keep it for myself & would let others borrow it. I think my sister would love this! I would semi-gift this to my eldest son who is aspiring to be a chef/baker/cook ~ said semi because I would be helping him achieve these recipes. This looks so good!! I was looking for a light and fruity dessert today, but couldn’t think about what to make. You seemed to nail it! It looks like deconstructed Pavlova. What a fun dessert. I will have to check out this cookbook as well. Yes, it is like a deconstructed pavlova! Will the low fat yoghurt work? Or just regular plain yoghurt? Thanks! sure, but I might let it drain, because of the excess moisture. So glad to hear. 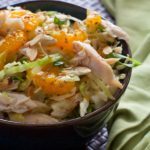 Yep, the rose water can totally be omitted and the flavor still is great! You can even cheat and use store-bought meringues for an even quicker version!